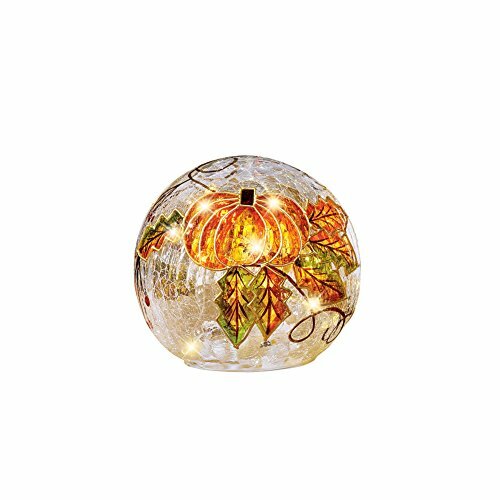 These uniquely designed glass balls are painted with colorful Fall leaves and pumpkins with sparkling glitter details atop a crackled glass background. Perfect on a mantel, shelf or tabletop, the battery-operated light inside brings the entire piece to life. Each requires 3 "AAA" batteries (sold separately). Glass. Sold separately. Size available in Small Ball (4 3/4"Dia. x 4 1/2"H) or Large Ball (5 3/4"Dia. x 5 3/4"H).